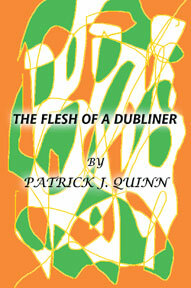 What’s more enjoyable than hearing the tales of an Irishman with a pint of brew in one hand and a good book in the other?. He was born in Dublin in 1737, the son of an ironmonger. He was Secretary of the Dublin branch of the United Irishmen which with Wolfe Tone he helped found and whom he then went on to represent in America after they were outlawed in 1792. He played a central part in the mismanaged French ‘invasion’ at Kilala Bay in 1798. He was the lynchpin in the events which led to the Peace of Amiens between England and France in October, 1801. He was sentenced to death by the English, but never executed, a fact which may well havedenied him the martyrdom and fame which came to others like Wolfe Tone and Robert Emmett. He was a Brigadier General in the French Republican Army, and received both salary and pension as such until the day he died, August 24th.,1803, in Bordeaux. His name was Napper Tandy. In We Have a Goo d Time...Don't We? 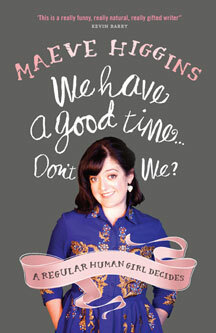 Maeve Higgins, comedian and lady, smashes the brittle veneer on the creme brulee of life and hands around spoons, so we can all taste the delicious absurdity that lies beneath.Buy the Book!